This unit utlizes a Momo steering wheel hub, which I dont have. But it does come with the Isotta Horn Button as well. 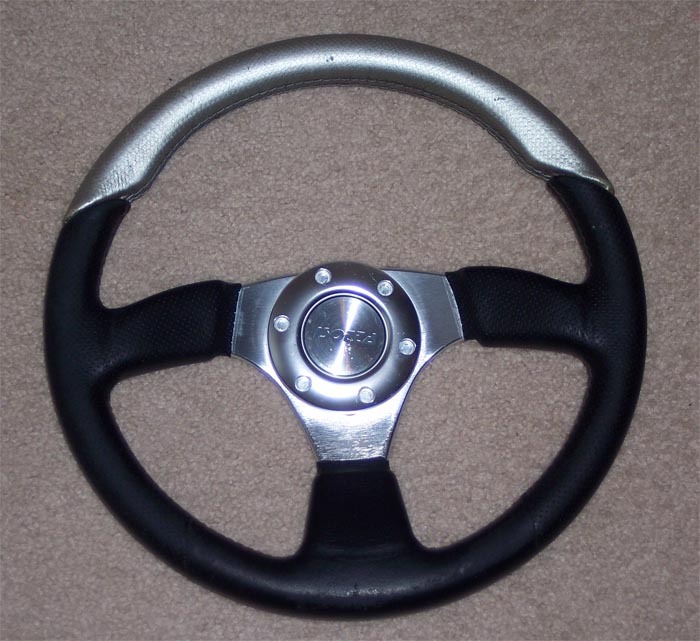 I think this wheel would look really nice in a Polaris vehicle. I'd like to get $50.00 OBO.. + shipping.